The characters and plot of the Blend Trilogy or at least the first two books of the trilogy were unique and carefully written. Though the environment and how things were mended and written were too much like every other sci-fi paranormal book I've read out there. 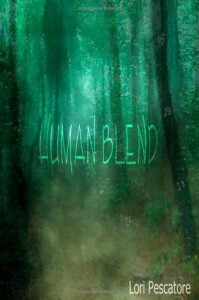 Human Blend started off with our protagonist moving into an unknown place on her own after years in captivity. I'm surprised how different the plot was. It was morbid and dark to say the least. It's definitely something for the older Young Adult scene. The type of paranormal beings in the trilogy were somewhat a mix of alienish/fae/elven. It was different and sort of freaky and makes me think about how author come up with this stuff (I say this in a good way, not bad). 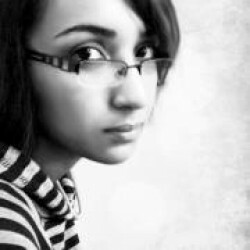 Julie, the protagonist is a little bit of a annoyance at first, because she tends to "accidentally" fall on men's lips. But after awhile you know why she does that. Strictly by the name of the first book, "Human Blend", the book revolves around Human Blenders and how things work with them. While in Earth Blend, the second book of the series, speaks about how Earth Blenders helped produce and breed Human Blenders. The story in this installment was a little bit disturbing. The second book begins by focusing on how Eli (a constant character in the first book) was brought amongst plain humans and such. It's really interesting to watch how these science fiction characters Lori came up with came to be. The trilogy makes a reader think, what if, we're not alone and we've been forced to breed an entirely different species and only a select few know about it. Though, I haven't read the third book, I can say that the series is interesting, unique, annoying sometimes (because of the characters). But it is a good read for the Young Adult Science Fiction junkie out there. And I give both the books in the trilogy I've read, 3 stars.